Situated on the beautiful Mauna Kea Golf Course, thirsty golfers and guests can seek a refreshing treat at the golf clubhouse restaurant, Number 3. Enjoy a delightfully tasty menu featuring salads, sandwiches, burgers and fresh fish tacos in the dining room or on the outside lanai. 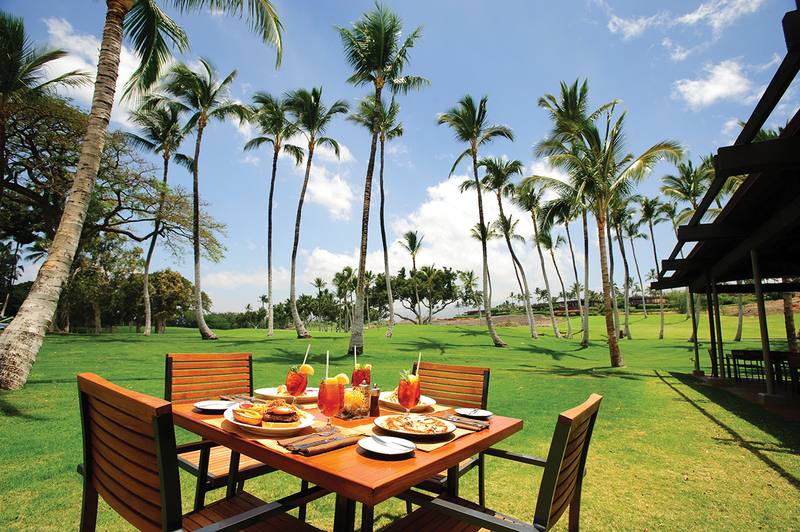 Share a classic Crab Louis in a relaxed, casual atmosphere, along with a cold one from the tap, a signature Mauna Kea cocktail or a frosty fruit smoothie. It’s almost good enough to guarantee a lower score on the back nine!